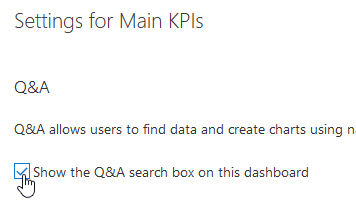 Power BI Service includes two ways in which you can analyse data: by getting quick insights, and by asking questions. 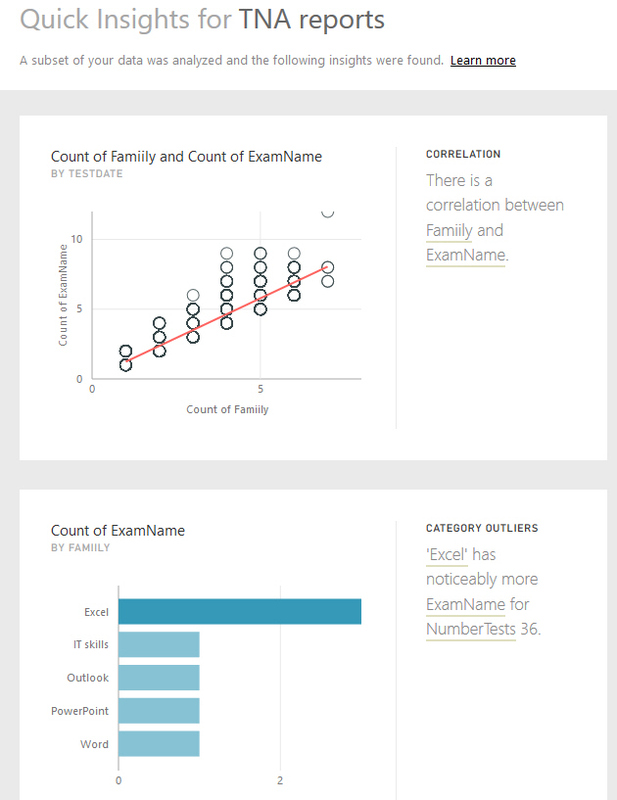 You can choose the option shown to get some insights into your data! 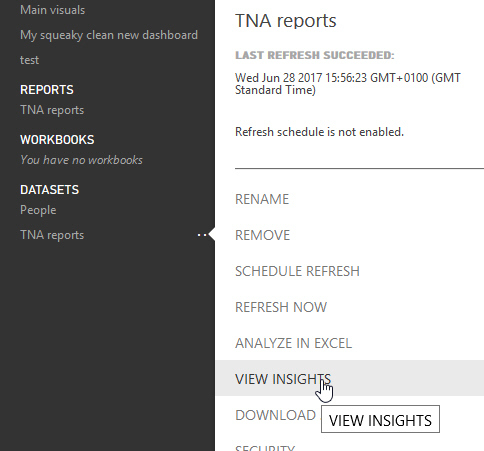 Click on a dataset, and choose the VIEW INSIGHTS option shown. Whether you like what this generates is up to you! 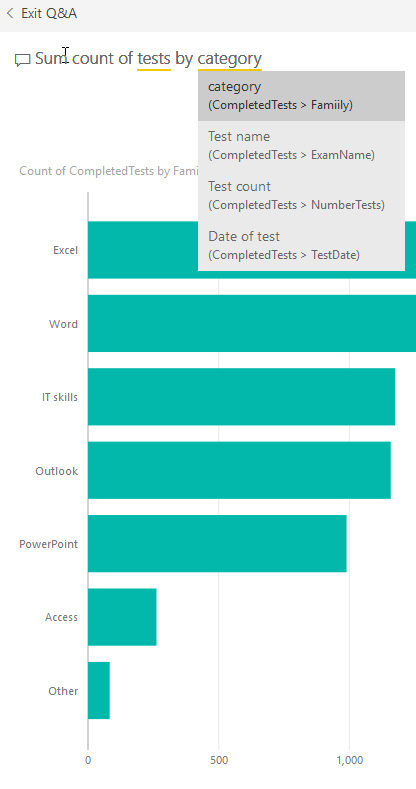 Two of the four insights generated for this dataset. Although I've had course delegates swear by this feature, to me it's an example of AI not working. The "insights" are usually either incomprehensible or blindingly obvious. When editing the settings for a dashboard, you can choose whether to display the Q&A search box. If you keep your questions to specifics, Q&A works well, as this example shows. 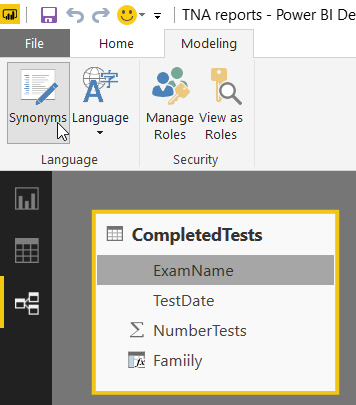 I've found the Intellisense in the question editor can get quite annoying! Bizarrely, the only way to get to this is through Relationships view. 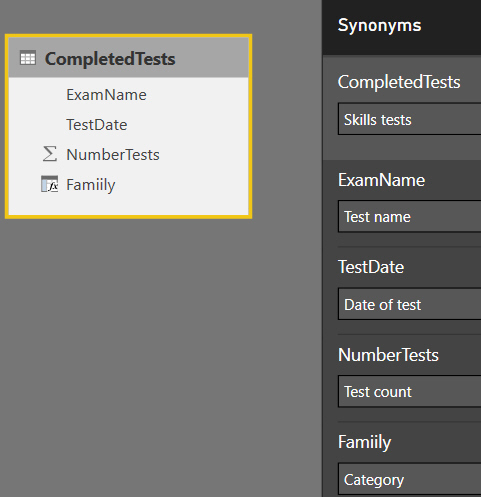 You can the click on the Synonyms tool on the Modelling tab of the ribbon. Here I've typed alternative names for everything. I'm not sure my question was very good (although it did use the synonym Category for the test family), but the answer is clever! 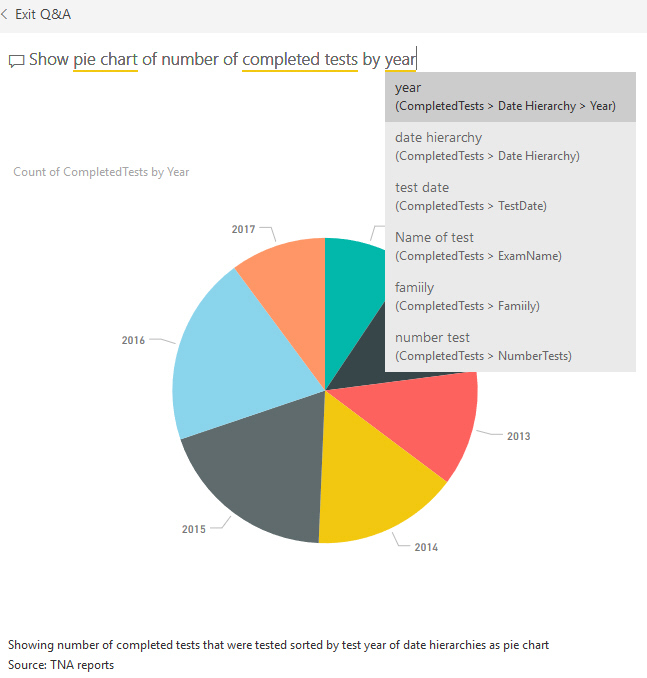 And that completes this part of this long training blog on Power BI Service. 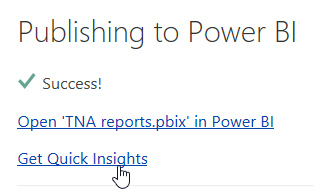 Next up - links between Power BI Service and Excel.